Booth 204 in Hall 9 at it-sa 2018 is the place to go for everyone who wants to take a look at the latest developments in verinice. it-sa – the annual trade fair and meeting place for the IT security industry – will take place from October 9 to 12 in Nuremberg. SerNet will be there with verinice partners. The verinice.TEAM of SerNet will be accompanied by Cassini, IT-InfoSec, neam, SILA Consulting and TÜV TRUST IT. They are all part of the verinice.PARTNER network and are happy to pass on their expertise on site. Together, SerNet and the partners will present verinice and provide insights into verinice 1.17, which will be published soon after it-sa. In addition, the partners will present their own services such as the establishment of a management system for information security, consulting for e.g. BSI IT Baseline Protection, ISO 27001 and ISIS12, audits, or support on the way to certification. c.a.p.e IT GmbH will present the integration between verinice.PRO and KIX Professional. uib will also be there, presenting opsi – the Open Source Client Management System. Would you like to get to know verinice in general or specific contents such as the data protection module? Would you like to take a look at our implementation of the Modernized IT Baseline Protection and the Compendium? Would you like to know whether verinice is the right tool for you? Would you like to get to know some of our verinice.PARTNERS and their range of services? Then we look forward to welcoming you. We would also be happy to arrange a meeting with you in advance! Please send us an e-mail to itsa@remove-this.sernet.de. You can get free visitor tickets for a visit to it-sa via SerNet. To do this, visit http://www.it-sa.de/voucher/ and enter the voucher code A391225. With a visitor ticket, you can explore it-sa from 9 a.m. on any day. This year’s SDC - Storage Developer Conference will take place from September 24 to 27, 2018 in Santa Clara (California/USA). SerNet supports the SNIA hosted event again as silver sponsor. 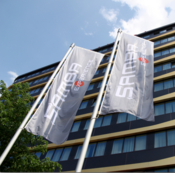 We will also be present with a sales team and a lot of information about SAMBA+, especially SAMBA+ for OEM and SAMBA+ LTS. How ownCloud and SerNet worked together to improve the SMB protocol, is described in a new blog post from ownCloud. Read about it in the article "Windows Network Drive integration benefits from Samba contributions". The text emphasizes, how Open Source Collaboration can prove to be an important and stimulatory factor for projects. In this case, ownCloud engineers worked together with longtime Samba expert Volker Lendecke at SerNet. This resulted in notifications for smb-client implemented in the SMB2 and SMB3 protocol, subsequently boosting performance and bringing more reliability to the windows network drive integration. So – to quote ownCloud: "the professionals at SerNet have your back".